Chris J Ratcliffe / GettyIs Theresa May right that ‘no deal is better than a bad deal’? Theresa May insists “no deal is better than a bad deal” on Brexit. However, a new report by leading academics sets out the economic, legal and political chaos that would be caused by a no-deal Brexit. Britain would face huge new barriers to trade and a political and legal quagmire. Economy would likely fall into a recession as business confidence in the UK collapses. 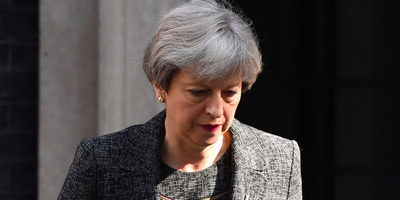 LONDON — Prime Minister Theresa May has continued to claim that when it comes to Brexit negotiations “no deal is better than a bad deal,” while Foreign Secretary Boris Johnson has also insisted that leaving the EU without a deal in place would be “perfectly ok.” Meanwhile, the International Trade Secretary Liam Fox said on Thursday that Britain would easily “survive” such an outcome. However, a new report by a group of leading academics sets out the frightening realities of what crashing out of the EU without a deal would really look like for Britain. Trade tariffs imposed on goods exported to Europe. Introduction of new customs checks causing huge delays and cost. Big hit to manufacturers relying on just-in-time deliveries. Financial service industry hit by loss of passporting. The most immediate impact of a chaotic no-deal Brexit would be that Britain would fall out of its current trading arrangements with its nearest and largest market. This would mean the sudden imposition of hefty tariffs on goods traded between the UK and Europe. It would also mean the imposition of other non-tariff barriers, including new customs checks at British ports. 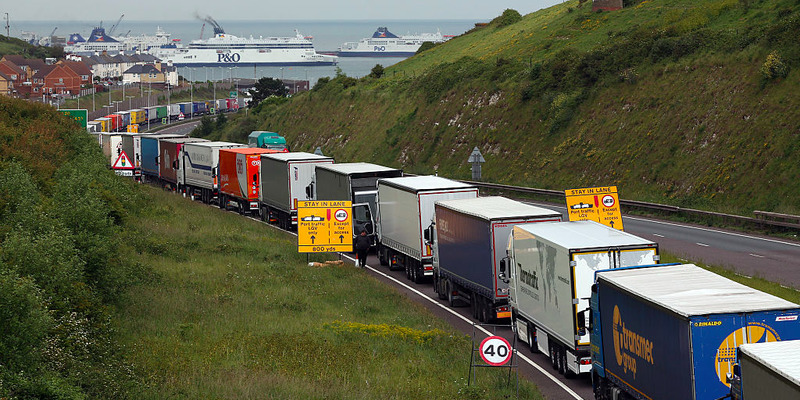 At already busy ports this would cause chaos and may even be impossible. Dover, for instance, simply lacks the physical space to store all the extra goods that would need to be processed. As such an outcome would only come at short notice, there would simply be no time to implement contingencies. Images of historically long tailbacks of lorries at ports would be beamed across the world, while stories of travellers held up in endless immigration checks would further damaging Britain’s global reputation. It’s not just Britain’s reputation that would be damaged by such an outcome, but our economy too. Manufacturers, using so-called “just-in-time” supply chains, would suddenly face extended delays. Britain’s services would also be hit by the loss of passporting rights and the access to other legal and accountancy services tied to our EU membership. Increased inflation and fall in wages and consumer demand. A collapse in business confidence. A fall in GDP and recession. The first likely sign of the economic disaster that would follow a no-deal Brexit would be an immediate collapse of Sterling. Today’s report suggests that we could expect a fall of a similar magnitude to that seen after the vote to leave the EU when the currency dropped by 10-15%. Such a fall would likely be sustained as international confidence in the British economy crumbled. Such a fall, combined with the new barriers to trade outlined above, would inevitably cause prices and therefore inflation, to rise. Business confidence in the UK would also collapse with international investment falling and some companies even deciding to leave the UK altogether. Today’s report does not attempt to quantify the exact effect this would have on the economy. However, the sum total of all of these outcomes would almost certainly be a large fall in GDP pushing Britain into a recession, if not a depression. No-deal Brexit would cast Britain into a legal and regulatory no-man’s land. Companies would be thrown into disputes over increased trade costs. Long-term trade contracts would be thrown into doubt. The UK government would face international legal challenges. If the UK gets to the end of the two-year Article 50 process without any Brexit deal then it will immediately find itself in a legal and regulatory no-man’s land with nobody entirely confident of what laws and regulations still apply. UK firms trading with Europe would suddenly find themselves dependent on contracts which may no longer have any certain legal basis. The sudden imposition of tariffs will force companies into disputes with their suppliers and customers over who should carry the increased duties and risk. And where will such disputes be settled? Currently, these are settled in European courts but May is committed to ending their jurisdiction over the UK. If however, the UK and EU fail to come to an agreement over where such disputes should be settled in future then the entire trading system between Britain and Europe will be thrown into a legal minefield which will, at the very least, substantially delay the resolution of disputes. Cast into World Trade Organisation rules, the British government itself will also find itself in court, the subject of numerous trade disputes at exactly the time when it is struggling to establish an entirely new trading relationship with the entire world. To say that this whole process is unlikely to go smoothly, would be something of an understatement. If however, the UK and EU fail to come to an agreement over where such disputes should be settled in future then the entire trading system between Britain and Europe will be thrown into a legal minefield which will, at the very least, substantially delay the resolution of disputes. Cast into World Trade Organisation rules, the British government itself will also find itself in court, the subject of numerous trade disputes at exactly the time when it is struggling to establish an entirely new trading relationship with the entire world. To say that this whole process is unlikely to go smoothly, would be something of an understatement. To say that this whole process is unlikely to go smoothly, would be something of an understatement. No-deal Brexit would throw Britain into political chaos. Economic shock would cause blame game between Britain and Europe as well as Remain and Leave supporters. Britain’s international reputation would suffer. May’s government would struggle to survive with calls for another election becoming overwhelming. Even the most hardline of Brexit-supporters would have to admit that the year following the vote to leave the EU has been one of the most politically chaotic in living memory. In the space of 12 months, we have seen one prime minister resign, witnessed an attempted coup on the leader of the opposition, and seen several changes of leadership for almost all other minor parties. Since then we have had a snap general election in which no one party won, leaving a prime minister without any majority in parliament or authority over her own Cabinet and overseeing a highly fragile arrangement with the DUP. It is hard to imagine a worse political scenario for the government to be attempting to negotiate Britain’s exit from the EU. However, such chaos is likely to be dwarfed by what would occur were Britain to leave the EU without a deal. Such an outcome would cause a cycle of blame between the government, the EU, Remain and Leave supporters and the British press on a scale never seen before. It would also be so economically, legally and reputationally damaging that it is hard to see how any government could survive it. Britain’s international reputation as a source of stability and multinational cooperation would be shattered. The International trade Secretary Liam Fox told the Today programme this morning that forging a free trade deal with the EU will be “one of the easiest in human history.” He also said that failure to achieve a deal would be survivable. Perhaps he will turn out to be right and Britain really will get a full comprehensive free trade deal before 2019. However, there is now little over a year to go until Britain will need to start wrapping up Brexit negotiations with the 27 other EU member states and there is so far little sign of movement. Discussions over the UK’s exit bill have stalled, with the EU already considering giving up on talks until the British government works out what their position is. With European negotiators not even willing to start discussing Britain’s future deal with Europe until October at the earliest, the chances of the UK crashing out of the EU, with all the political, legal and economic chaos that would cause, are steadily growing by the day.